Wazzupolitan: A New Orleans' Themed Party- A Southern Delight! A New Orleans' Themed Party- A Southern Delight! New Orleans is having a moment right now. In addition to the Saints’ victory in America’s biggest sporting event, Mardi Gras is happening in approximately eight days. 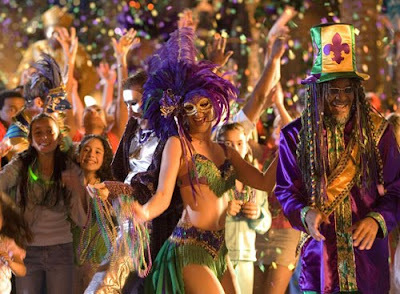 Mardi Gras is the most decadent of all holidays, celebrating gluttony and overindulgence in the most primal manner. Mardi Gras traditionally celebrates the last day of sinning before the puritanical period of Lent, and has become associated with the free-spirited, heavy boozin’ New Orleans neighborhood of Bourbon Street. This holiday is perhaps one of the most fun to celebrate, and with the Saints’ Superbowl Victory, a New Orleans themed party should prove most satisfying. So how should you go about hosting a New Orleans’ themed bash? First, set the tone with the appropriate colors. Purple, green and gold are considered the standard Mardi Gras colors. 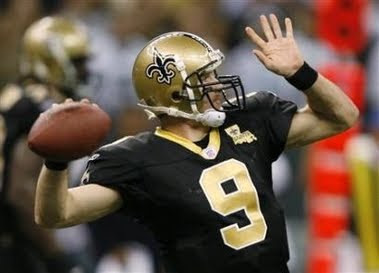 By incorporating black to compliment the gold, you also incorporate a Saints theme in the party atmosphere. Make sure every tablecloth, napkin, plate, and decoration therein lies within this color palette. It will surely take your party over the edge. Second, provide the right accoutrements. There should be beads everywhere. I mean everywhere. Hanging from lampshades, draped over couches, laying on tables, bunched in bowls. There should be enough beads to roughly hang from the neck of every single person living in China (i.e., a TON of beads). Another great accent for the party are Venetian masks, bearing colors that fall within the color theme. Venetian masks are very traditional in Mardi Gras. These masks were used to hide the faces of those who were sinning and overindulging, and have become the unofficial global symbol of the holiday. Third, make sure your drinks are reflective of the holiday. Since this party is supposed to be reflective of New Orleans, make sure your drinks have a Southern feel to them. Using sweet tea vodka is one of the most delightful ways to Southern-ize your drinks. One of my favorite ways to use sweet tea vodka is to combine it with lemonade, making a delicious and decadent John Daly. Another delicious Southern cocktail is a John Collins. Made with the most Southern of liquors, this drink combines Bourbon, lemon juice, club soda, and sugar. 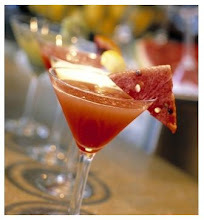 This is a simple drink which will surely charm all the Southern gents. Lastly, make sure your food will fulfill every guest’s gluttonous desire. This isn’t a night for calorie counting, so throw out all inhibitions for the night and warm up your deep fryer. Beignets, or deep fried Creole donuts, are sure to be a hit. For a great Beignet recipe, check out foodnetwork.com or southernfood.about.com. Another must have recipe is deep fried chicken. This is the quintessential Southern food. Amazing recipes for fried chicken are the Cajun Deep Fried Chicken at realcajunrecipes.com and the classic fried chicken at soulfoodandsoutherncooking.com. Lastly, a good, hearty gumbo is absolutely required to amplify the New Orleans flavor of the bash. Good recipes can be found at gumbocity.com and recipezaar.com. This is a night to go crazy. So, be sure to have plenty of food ready, and keep the liquor flowing. On this day, restraint is forbidden, tacky is acceptable, and inebriation is inevitable. So strap in and shout out a thundering “WHO DAT?” This will surely be a Southern-style celebration no one will soon forget (if only they could remember). 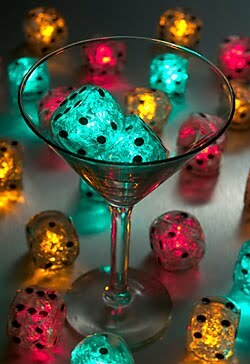 Where can I find those glowing dice? A New Orleans Inspired Cajun Bloody Mary!